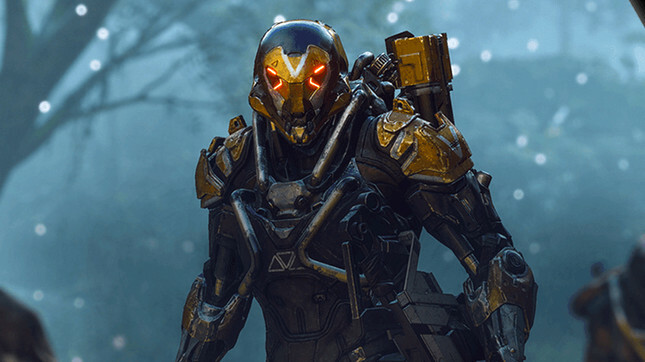 Anthem's executive producer Mark Darrah has opened the floodgates for fan questions in a Q&A via Twitter. While wading through a barrage of questions that had previously been answered, Darrah did share some new information regarding end-game content and loot drops. The confirmation of matchmaking in Anthem's end-game Raid is a nice contrast to its closest competitor Destiny, which after numerous years, expansions, and sequels still remains without. Darrah also noted that BioWare's shared-world shooter will handle loot drops in a similar fashion to Destiny, in that player's won't be able to trade items. While loot for a different Javelin does have a lower chance of dropping, a player can simply stash this gear and use it with the appropriate Javelin at a later time. Other topics Darrah weighed in on included customisable colours, solo play, and crafting resources. To the dismay of Counter Strike players, Darrah also confirmed that Javelins won't run faster when a weapon is not equipped.